EBAN is pleased to present its latest research report focused on understanding the reasons why angel investors choose not to invest in early stage SMEs. 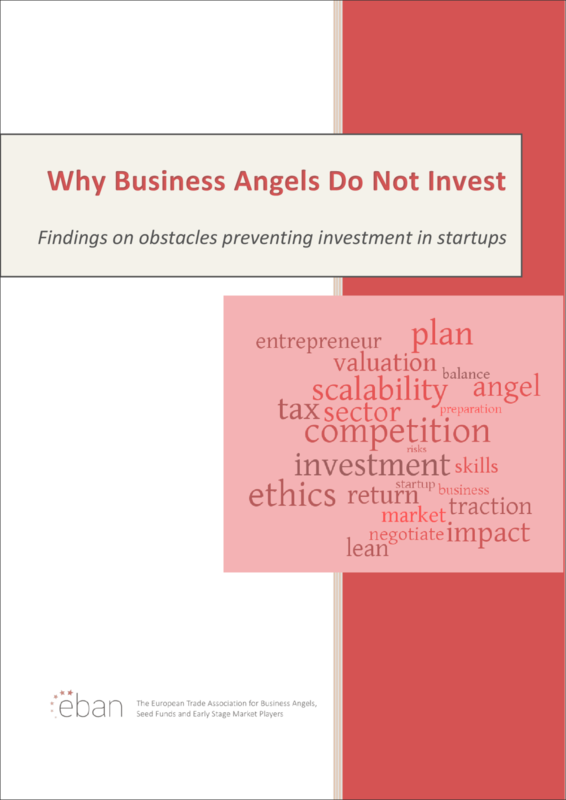 The report, titled “Why Business Angels Do Not Invest”, is based on direct responses received from EBAN members and participants of our investor training workshops organized during the years of 2016-2017. 683 participants from 41 different countries, the vast majority of them being active angel investors, participated in a brief 8-question survey administered at the end of each workshop. In this report, you will find an aggregation of the survey results with a brief commentary explaining the main findings.